A host of fast-moving consumer good majors on Tuesday committed to further reduce salt, sugar and trans fat in their offerings. 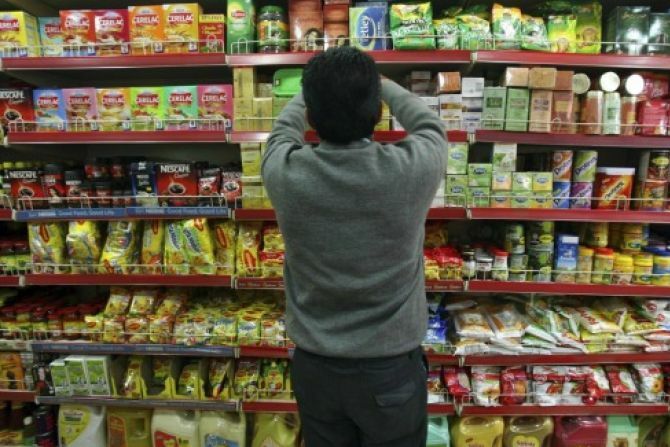 Companies from Nestle and ITC to Hindustan Unilever and Patanjali have pledged to reduce use of unhealthy ingredients by five to 50 per cent in line with the Food Safety and Standards Authority of India's initiative to encourage healthier eating practices. While leading FMCG firms like HUL, Nestle, Britannia and ITC have been working on to reduce use of salt and sugar for quite some time, Tuesday's commitment is aimed to taking the individual efforts to the next level. Executives from over 10 food and beverage players gathered at the FSSAI headquarters in Delhi to extend their support to the Eating Right Movement, launched by the food regulator to include other stakeholders like restaurants and eateries. Country's largest FMCG firm Hindustan Unilever (HUL) will reduce use of sodium salts in 75 per cent of its offerings to the level of five gram per day, as prescribed by the World Health Organization (WHO), by 2020, said Sudhir Sitapati, executive director, HUL. The firm also committed to reduce added sugar in its ice creams for children to 12 grams per portion. Nestle India aims to further cut down added sugar by six per cent, salt by 10 per cent and fat by 2.5 per cent by 2020 from 2017 level. According to Suresh Narayanan, chairman and managing director, Nestle India, while Nestle has reduced use of these ingredients for years, the latest commitment is in addition to its past efforts. “We are continuously working on the roadmap for nutrition towards making the portfolio healthier,” said Varun Berry, managing director, Britannia Industries. The firm has committed to reduce sugar and salt by five per cent per serve each across its portfolio. While Del Monte has pledged to reduce added sugar, salt and fat by 20-30 per cent in relevant products by 2025, Kellogg says it will cut sugar and salt in its ready-to-eat by 10-30 per cent by 2020. Marico has pledged to reduce salt by 15 per cent in new products like Saffola Mustard Oats by 2020. Patanjali says it is coming up with sugar-free Chawanprash and plans to reduce sugar in its existing Chawanprash by 3-5 per cent. According to Hemant Malik, chief executive - food division, ITC, in 75 per cent of its noodles and snacks portfolio, ITC will reduce salt by 10 per cent by 2023.